St. Norbert College hockey coach Tim Coghlin will be inducted into the 2017 class of the Wisconsin Hockey Hall of Fame. Coghlin is one of two inductees in the Hall of Fame’s 2017 class, joining John Kennedy of Franklin at the enshrinement banquet to be held Saturday, Sept. 9 in Eagle River at Eagle Waters Resort. Coghlin has built the St. Norbert hockey program in a national powerhouse in his 24 seasons, compiling a record of 529-138-52. St. Norbert has appeared in 17 NCAA Division III Tournaments since 1997, highlighted by its national championships in 2008, 2011, 2012 and 2014. The Green Knights have made 11 Frozen Four appearances, and placed as national runner-up in 2004, 2006, 2010 and 2016. Coghlin’s eight national title game appearances as a head coach is the second-most in NCAA Division III history. St. Norbert College senior forward Erik Cooper was named the 2016 Northern Collegiate Hockey Association Player of the Year to pace the Green Knights’ league honors announced by the conference office on Tuesday night. 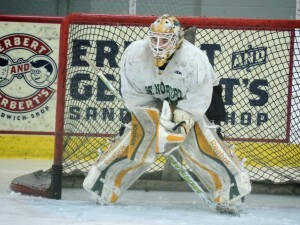 Cooper became the ninth different St. Norbert player to earn the Green Knights’ tenth NCHA Player of the Year award. In addition to Cooper, senior forward Michael Hill and junior defenseman Blake Thompson also earned All-NCHA honors. 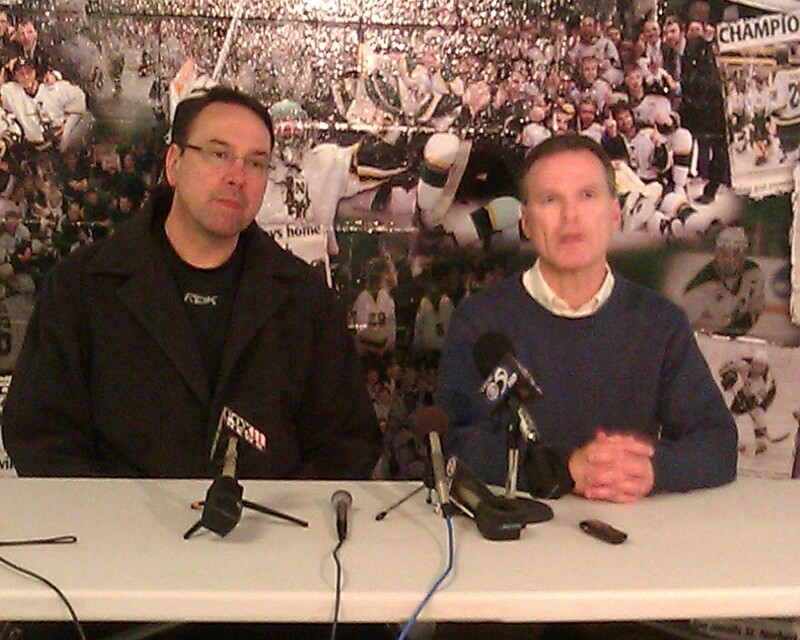 St. Norbert coach Tim Coghlin was named NCHA Coach of the Year, his seventh overall and first since 2010. 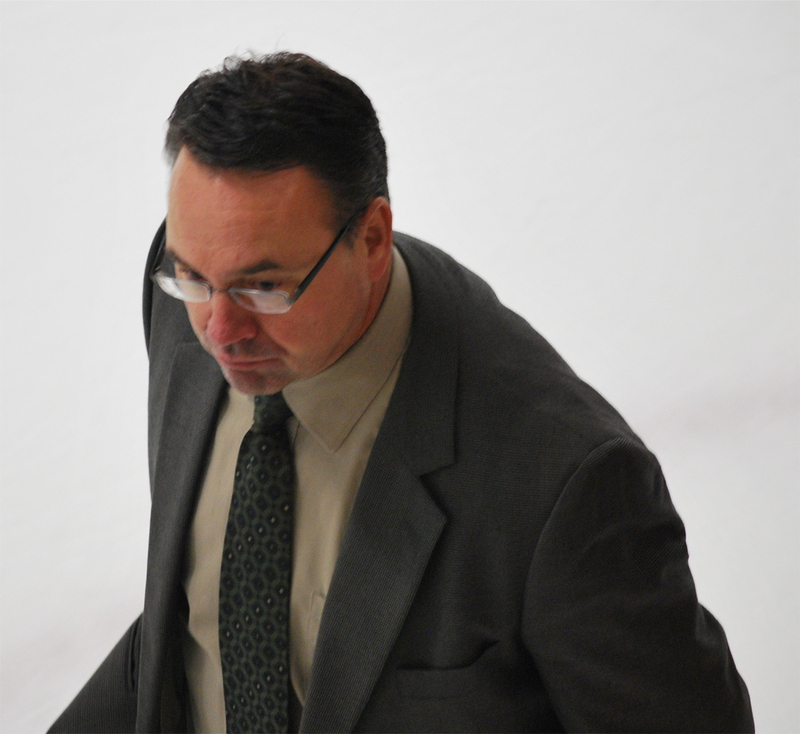 Tim Coghlin, the head coach of the men’s hockey team at St. Norbert College, has experienced his fair share of success in hockey. He’s won over 400 games at St. Norbert, five NCAA Division III championships in his playing/coaching career, won more than 20 titles in the NCHA, and has been named NCAA Division III Coach of the Year twice. Coghlin, who played for UW-Stevens Point, was a two-time All-American defenseman and signed with the Vancouver Canucks after college, but a shoulder injury shortened his NHL career. He says his experience was valuable when helping players prepare for playing professionally. 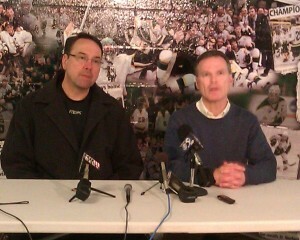 The St. Norbert head coach first got his start in the 1993-1994 season and led the team to a 10-9-1 record. 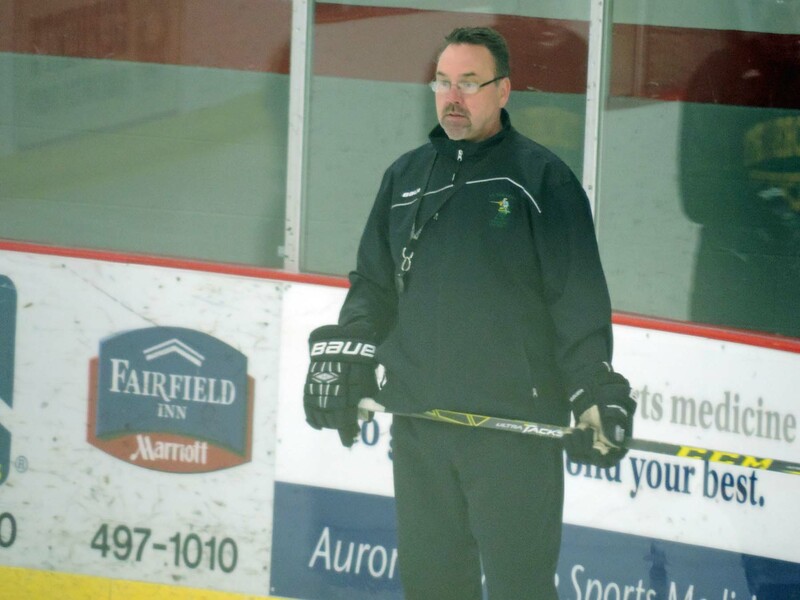 In only his fourth season as the head coach of the St. Norbert Green Knights, he led the team to a first place finish in the NCHA and a NCAA Division III tournament appearance. The 2007-2008 season saw his first national championship with St. Norbert and, according to Coghlin, his most memorable with the Green Knight team. When asked about his recruiting style and how he built up such a dominant program that has won three national titles in five years, he replied that he looks for the best student-athletes from five key areas in North America. With a master’s degree in education and a bachelor’s degree in communications, Coghlin recognizes the need for his teams to find their identity and culture on the ice and in the classroom. Currently ranked 6th in the nation, the Green Knights (6-2-1, 4-1-1 NCHA) finished up two home series against two of the top teams in division three. They easily took down, then ranked 9th, UW-River Falls by an aggregate score of 11-1. The second home series saw the Green Knights lose to 4th ranked UW-Eau Claire 5-3 in the first game, and tie the second game 3-3. 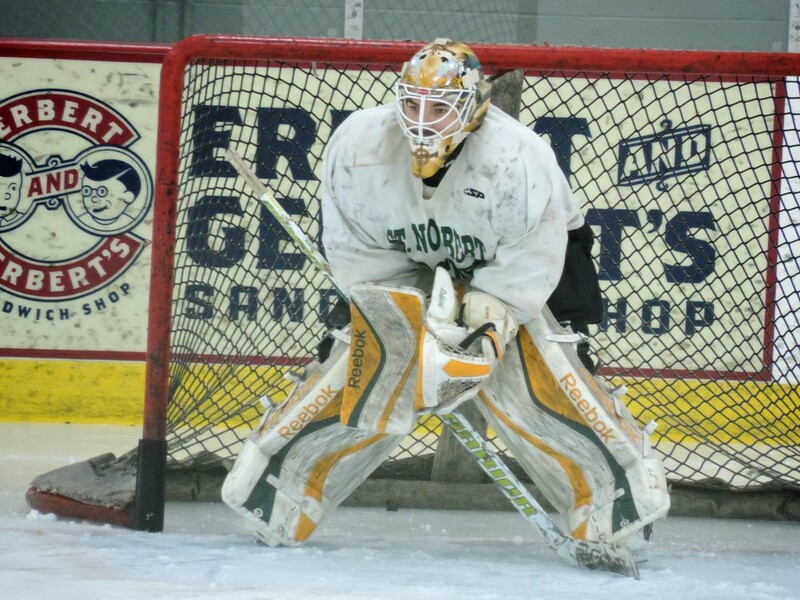 Coghlin and his Green Knights look to get back on the winning track this weekend as they host the St. Norbert Tournament with games against Marian University Friday, and Lawrence University on Saturday. victory over UW-Stevens Point on Friday night in Ashwaubenon. The top-ranked Knights scored in every period for their 11th straight win, dating back to last season. They also improved to 16-0-2 in their last 18 games against the Pointers. St. Norbert College (2-0, 1-0 NCHA) are playing their final season in the NCHA. The Knights, along with St. Scholastica, will switch to the Midwest Collegiate Hockey Association next season. The UW schools in the NCHA (Superior, Stevens Point, Stout, River Falls and Eau Claire) have decided to form their own hockey conference starting next season. Game 2 of the home and home series shifts to Stevens Point tonight. 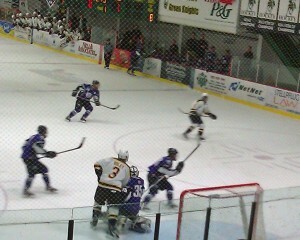 NCAA Division 3 National Championship. After falling behind 1-0 in the 1st period, the Knights had to kill off a 5-on-3, which brought their game to life.